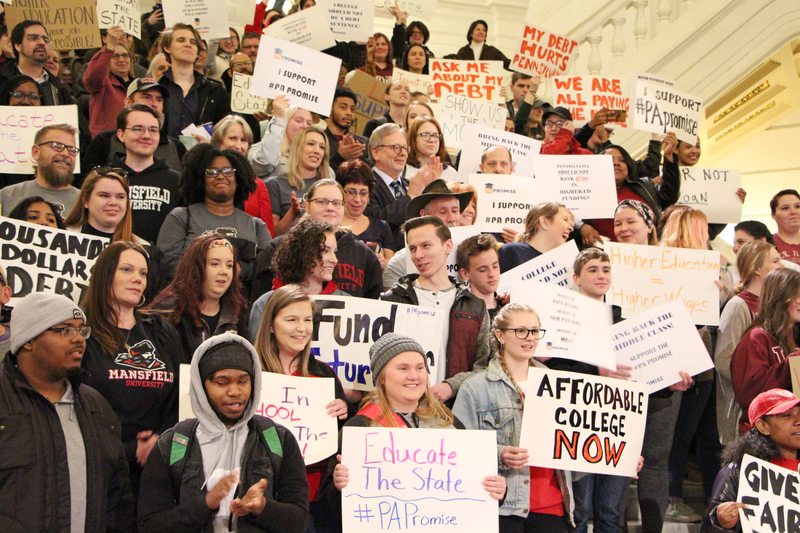 Thank you to our members and students who journeyed to Harrisburg last month to stand up for affordable higher education at the Pennsylvania Promise rally. If you missed the event or want to relive it, view photos on Facebook or click here to watch the rally in its entirety. With the rally over, what can you do next to further the cause? Click here to learn about additional actions via the Pennsylvania Promise website, including signing a petition. Please make sure you’re following the PA Promise on Facebook, Twitter, and Instagram. Use #PApromise and #affordablecollegenow in your online discussions. Learn more about the Pennsylvania Promise, of which APSCUF is a partner, at PApromise.org.